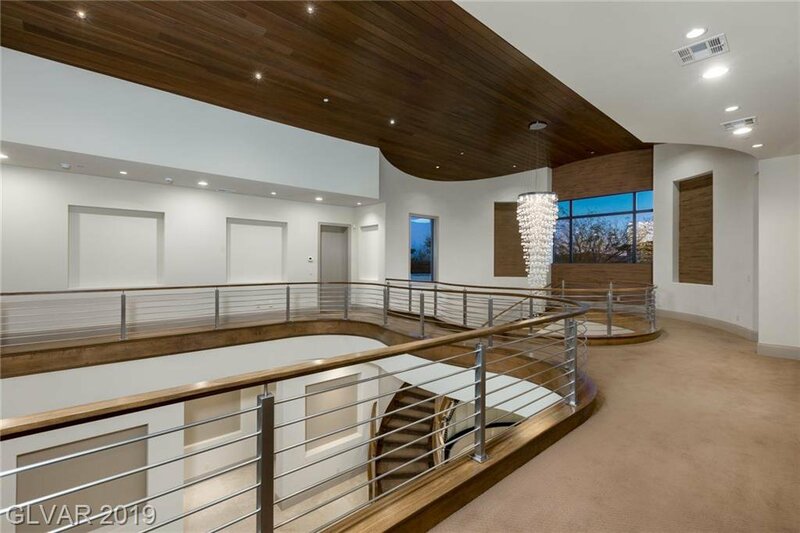 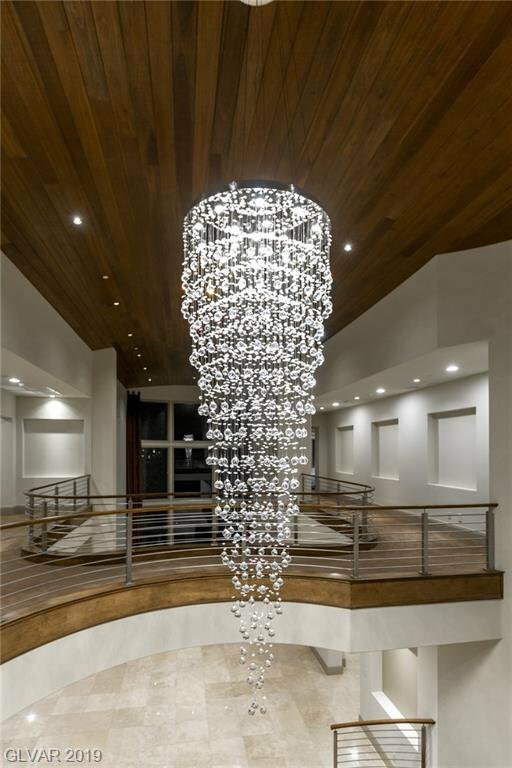 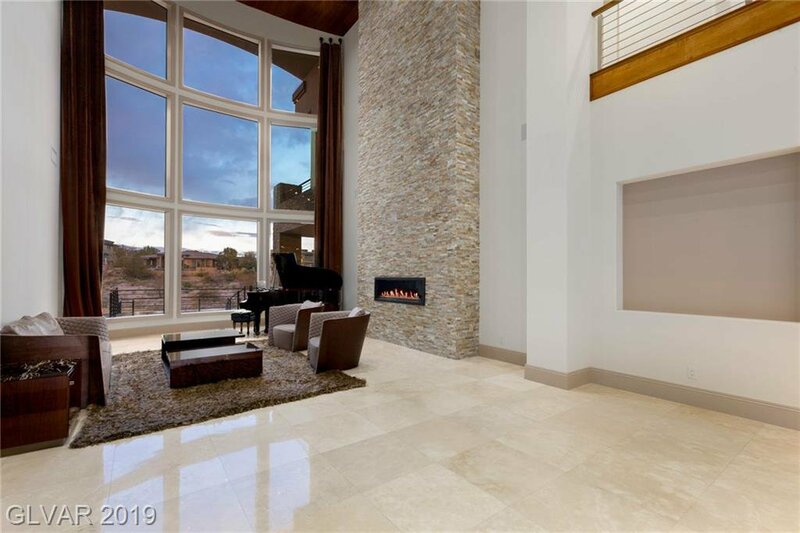 Contemporary custom home in the Ridges that commands attention for its elegant design & premium views. 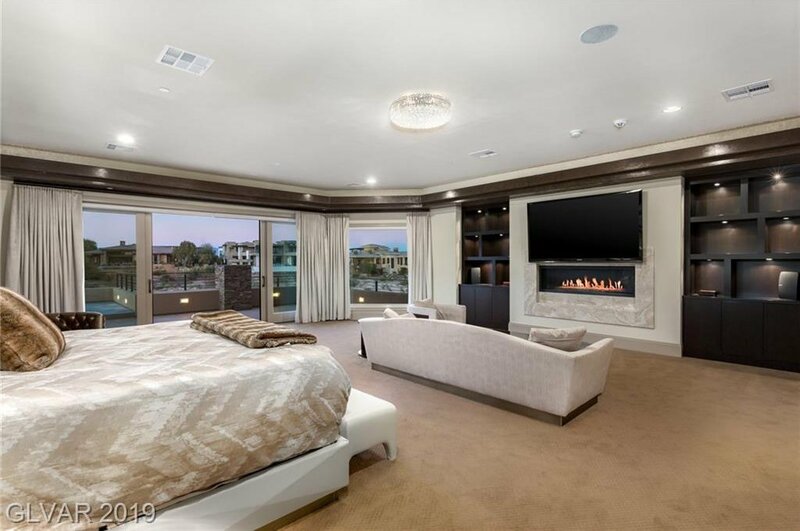 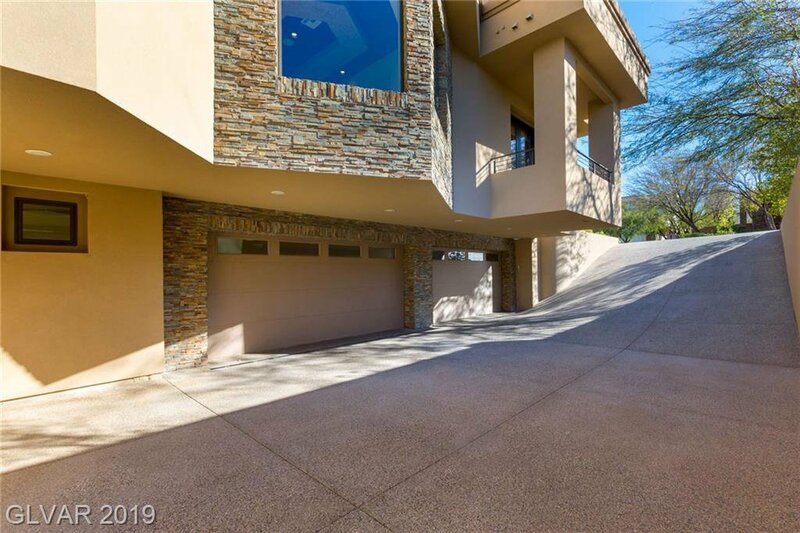 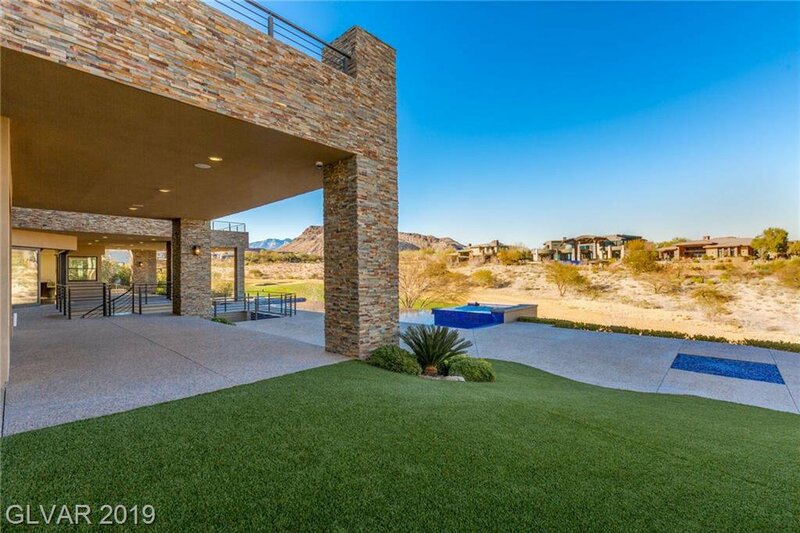 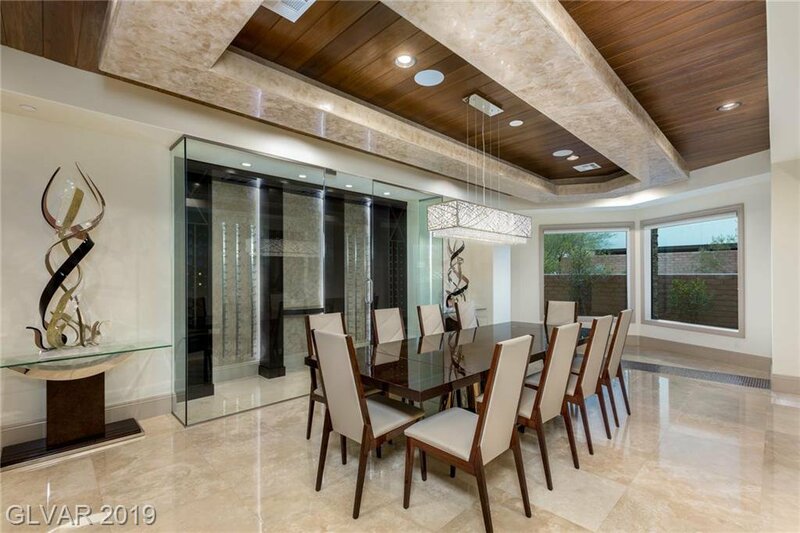 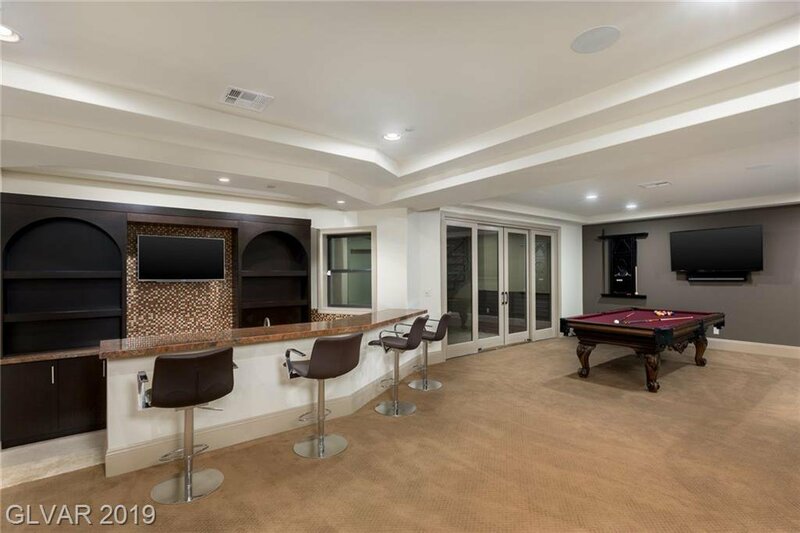 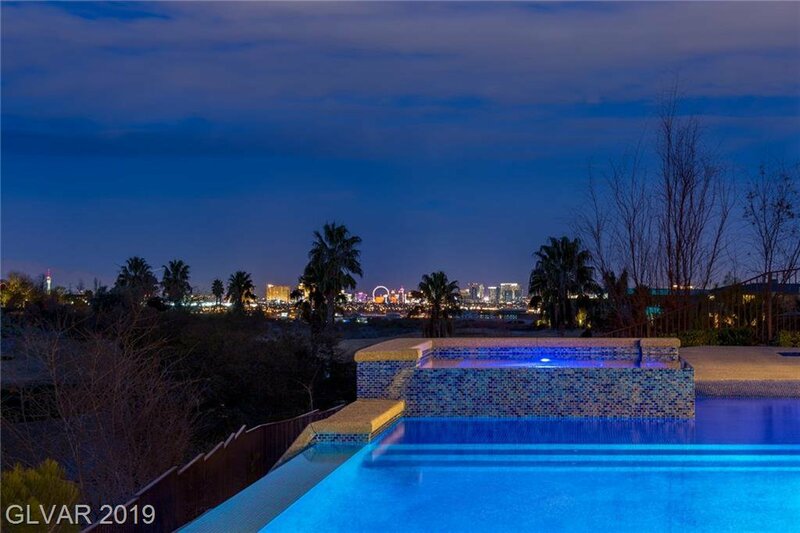 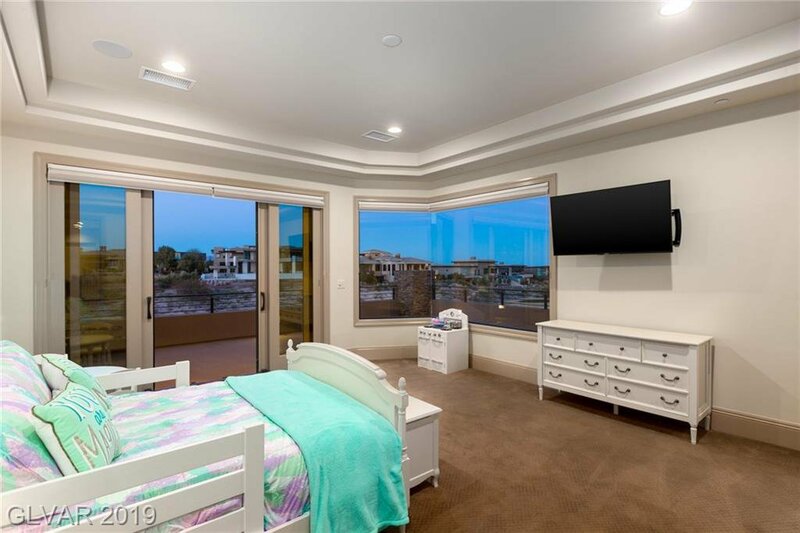 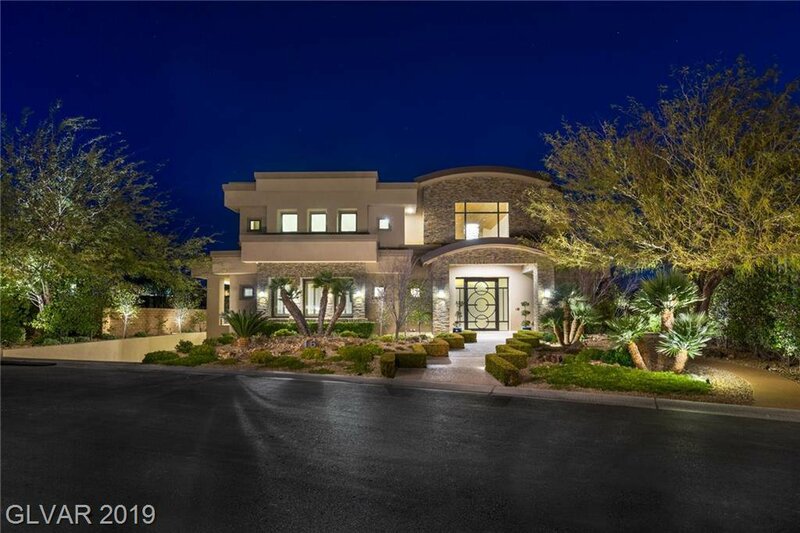 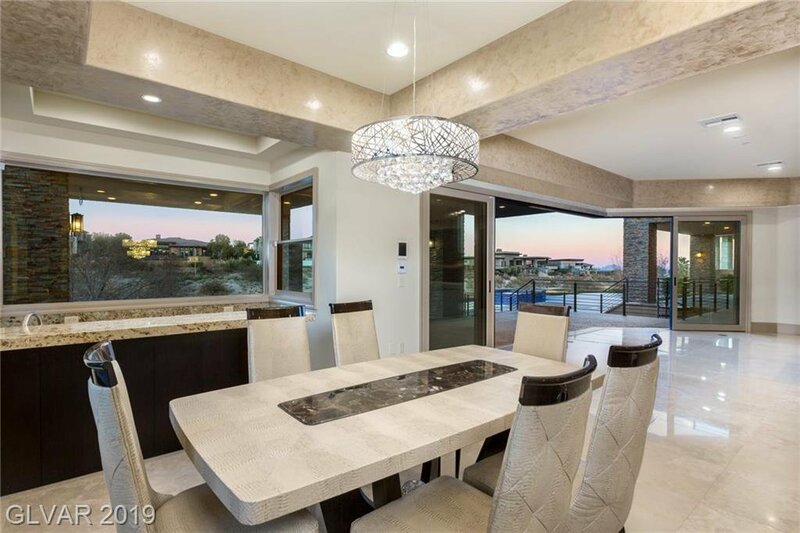 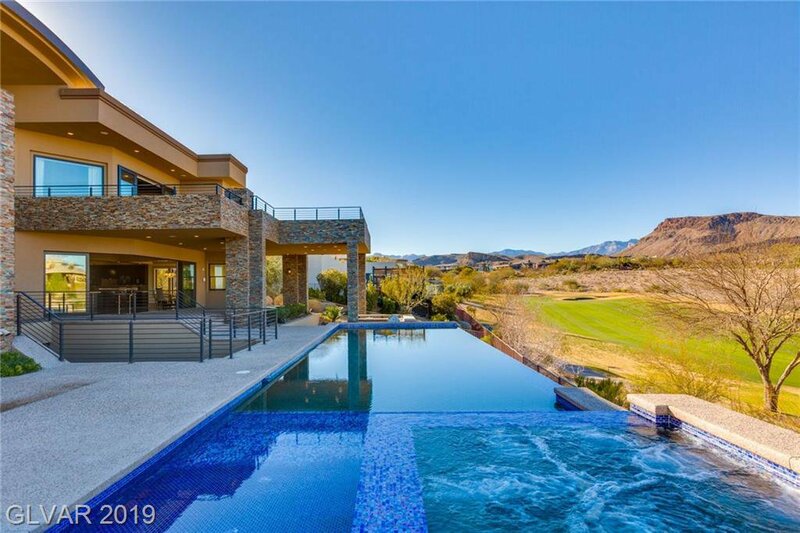 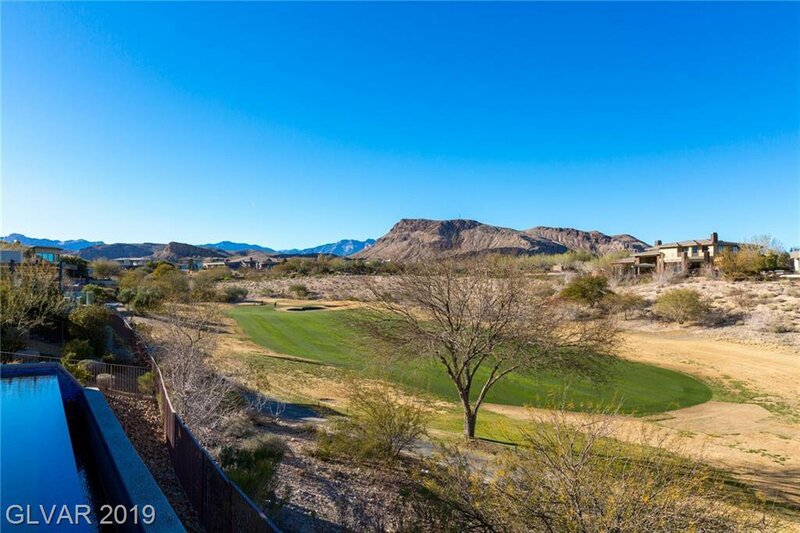 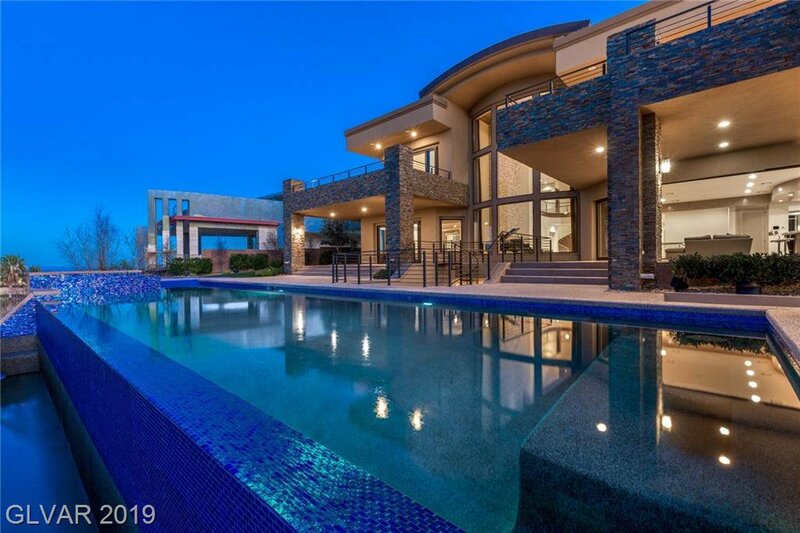 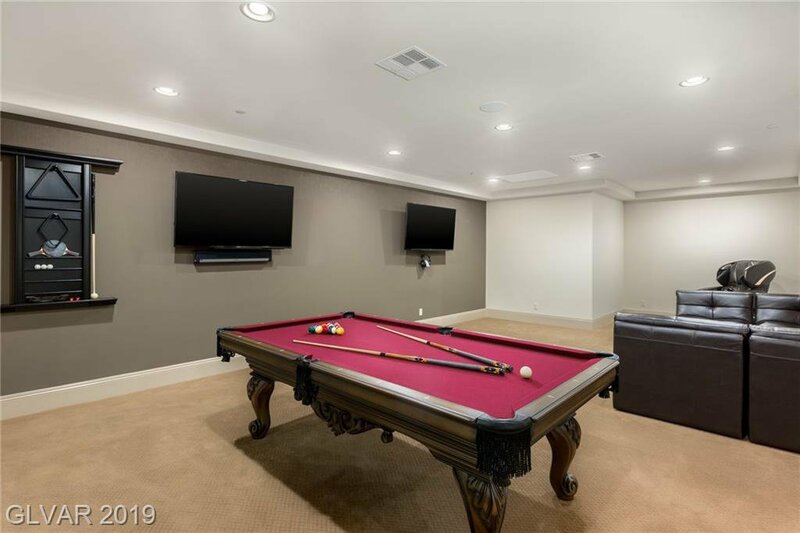 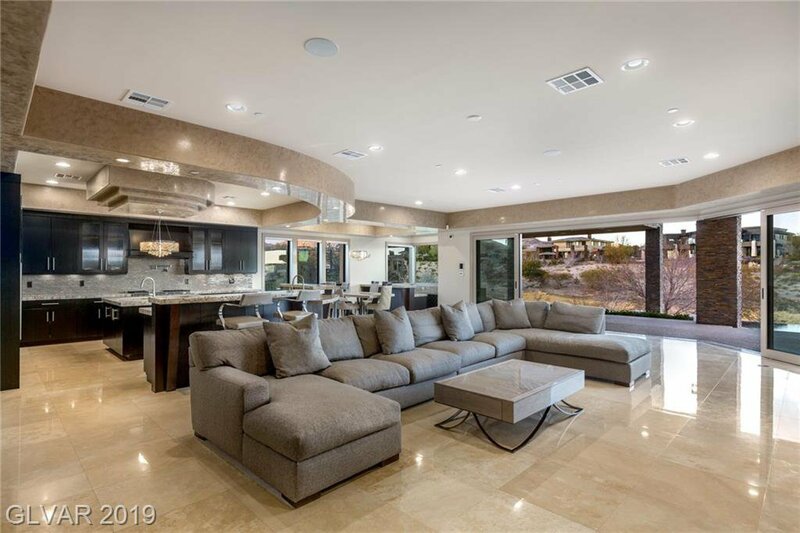 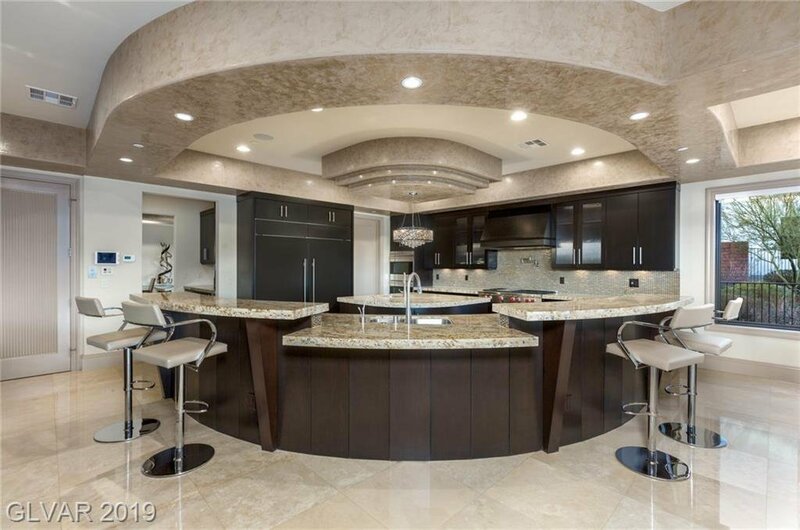 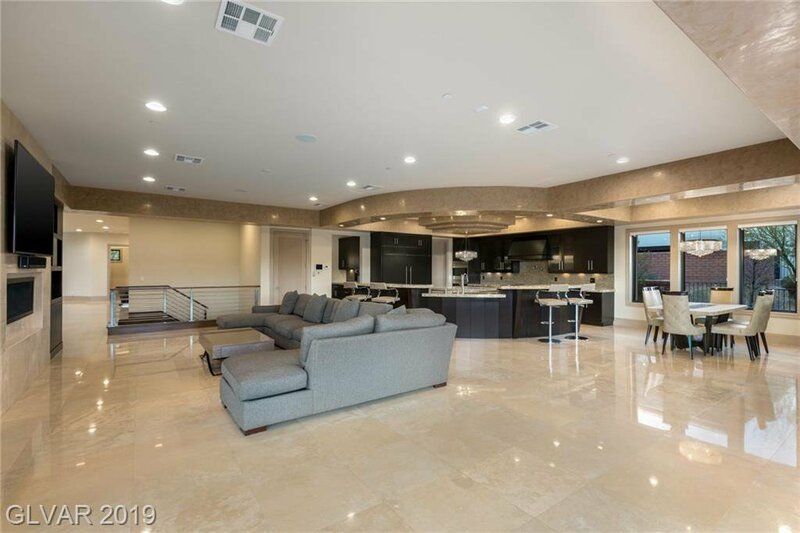 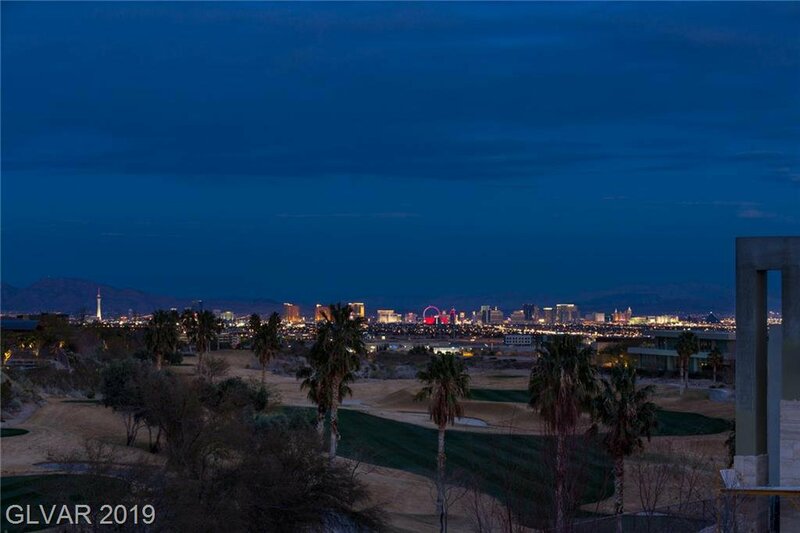 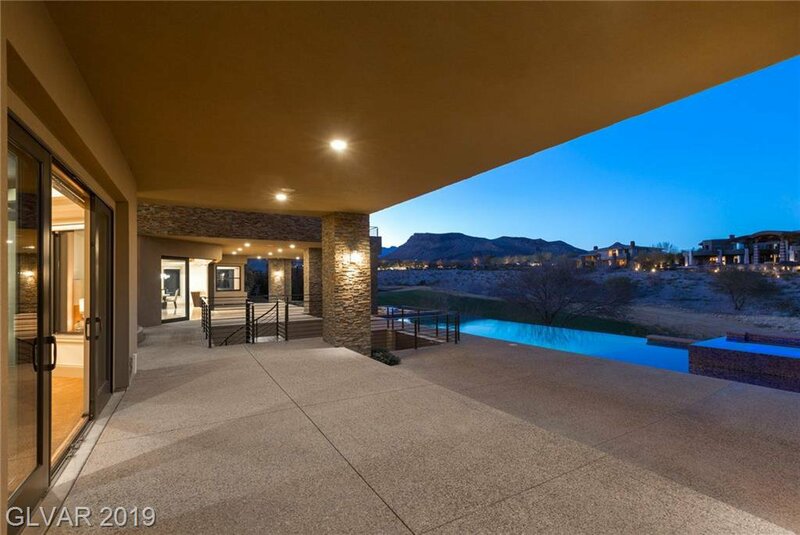 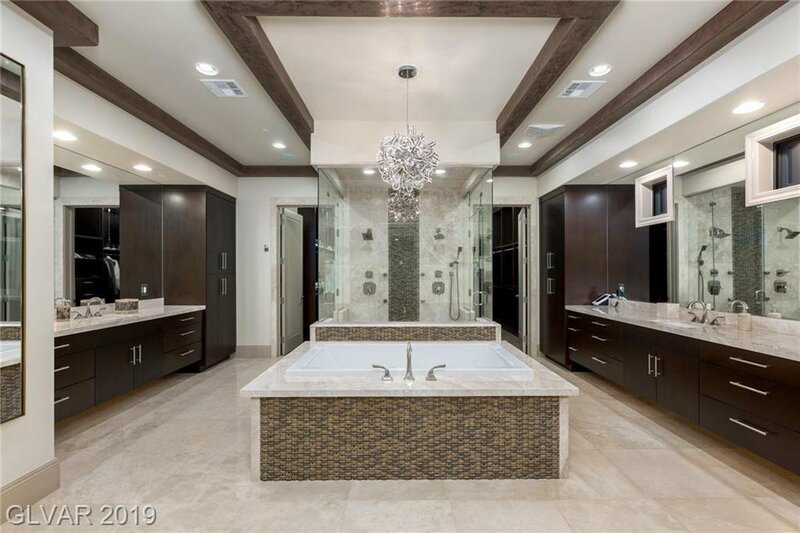 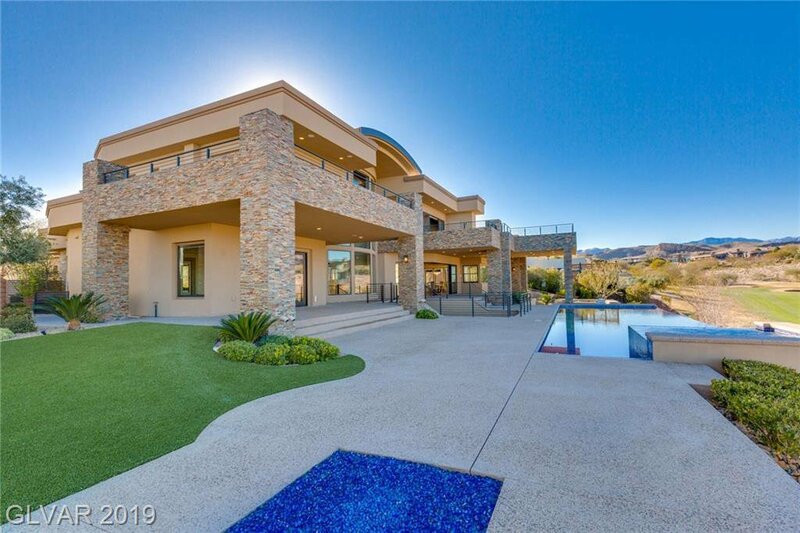 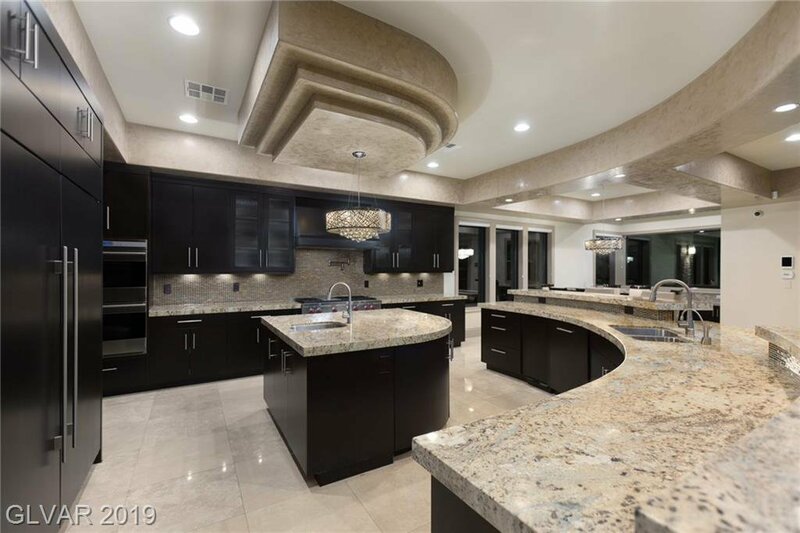 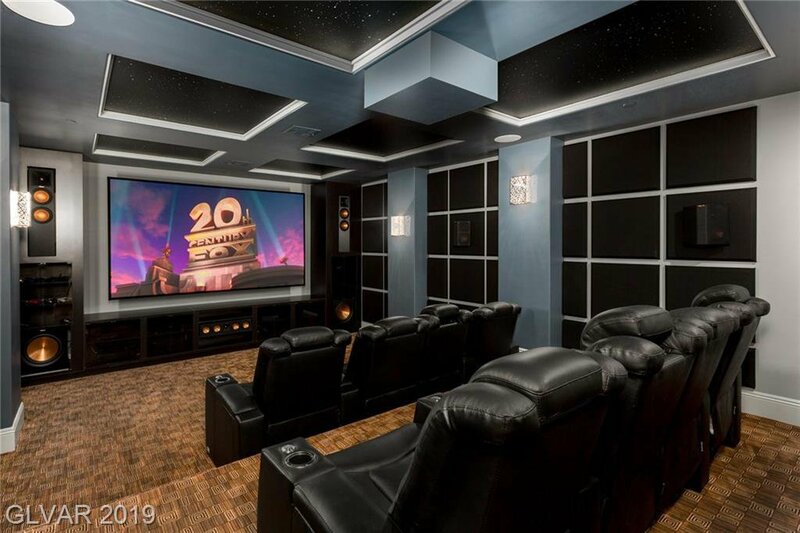 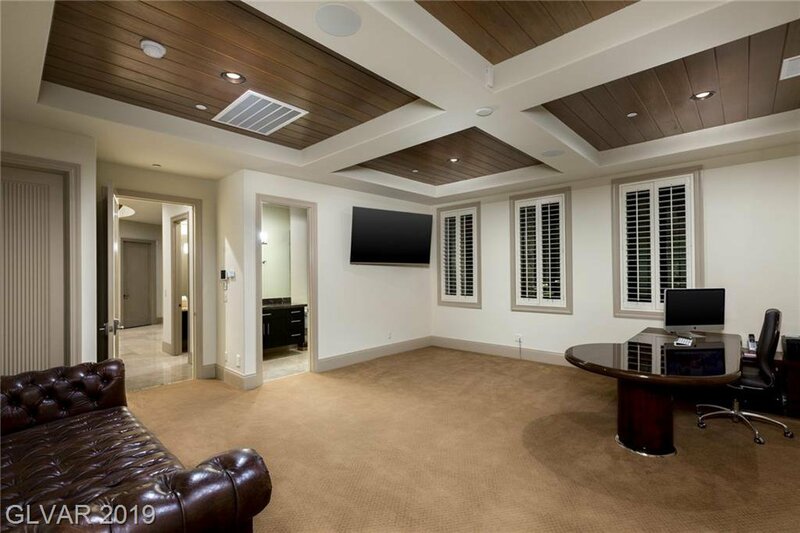 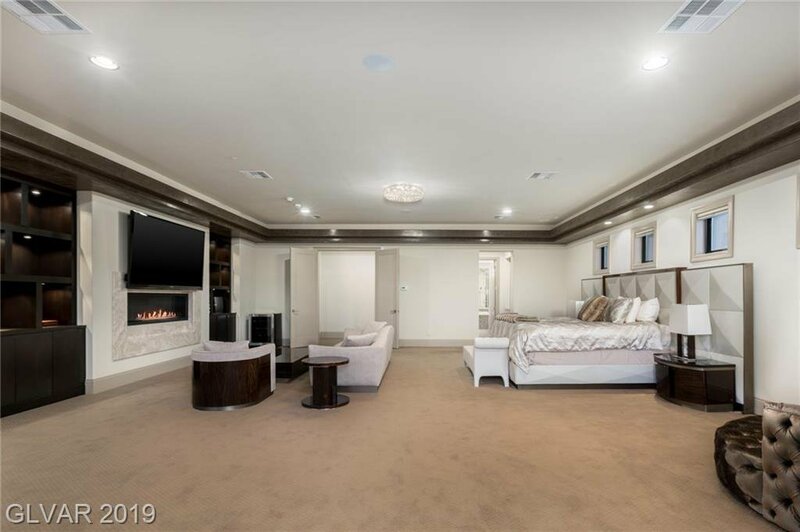 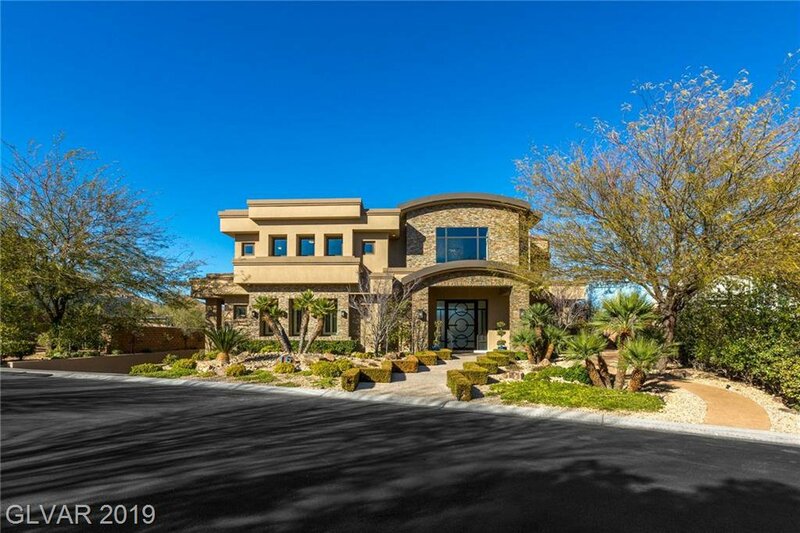 The home feels grand and open w/ 30â€™ wood barreled ceilings, custom stone, 5 bdrm suites, theater, game rm, dual masters, office, subterranean garage & phenomenal golf course frontage. 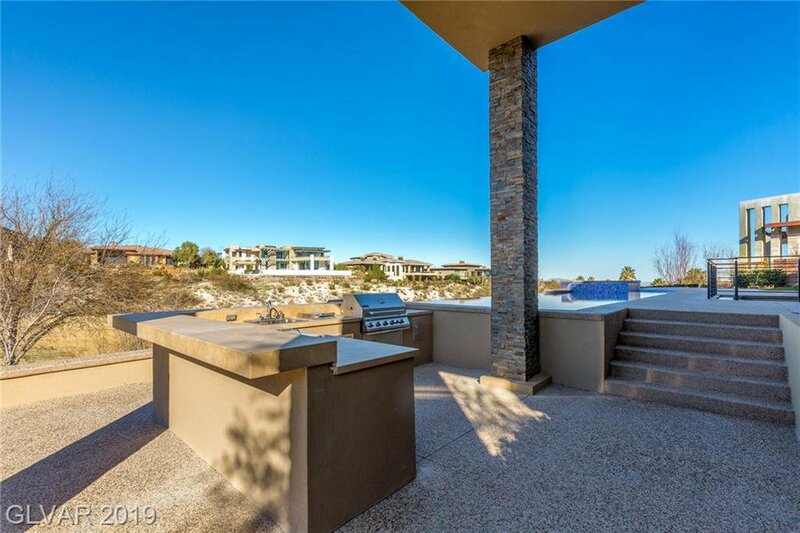 Lots of covered patio space & entertainment areas surround the pool/swim-up bar w/ mountain & Strip views. 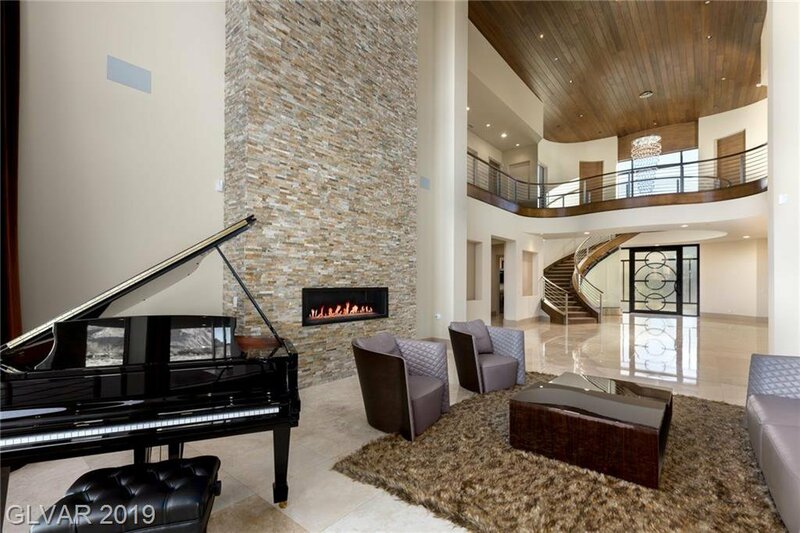 Very high quality yet functional and welcoming.